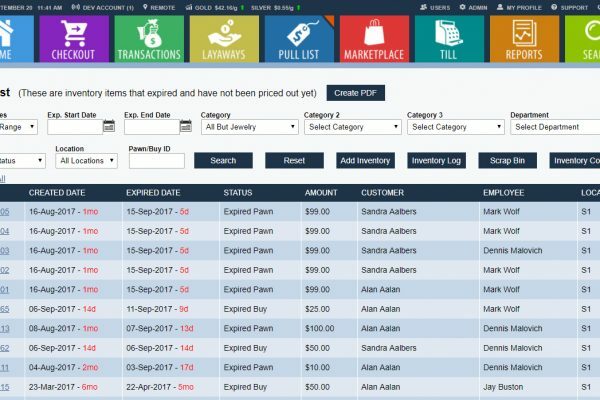 Save time and manage your entire physical and online inventory in a matter of seconds including your marketplaces such as eBay. 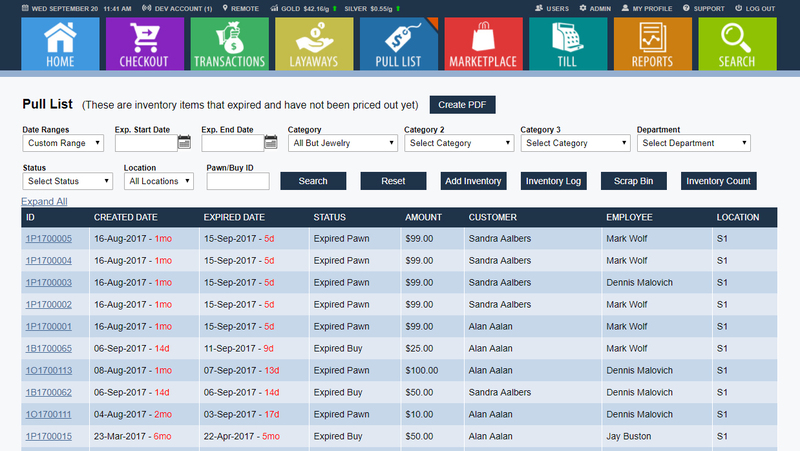 You can search by transaction type, store location, product category and more. See your entire operation in one glance. Export reports for accounting purposes and keep track of scrap metal and refinery transactions.